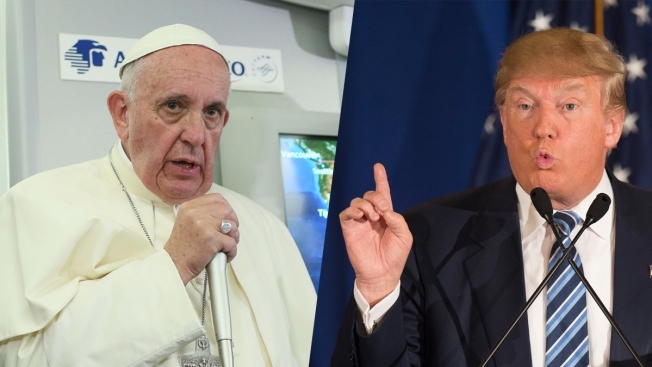 A New Hampshire state lawmaker and Donald Trump supporter said she was not referring to Trump's spat with the Pope when she called the Pope the Antichrist on her Facebook page. The comment by Republican Rep. Susan DeLemus, of Rochester, came Thursday shortly after the Pope said anyone who wants to build a wall along the U.S.-Mexico border, as Trump wants to do, is "not Christian." DeLemus wrote, "the Pope is the anti-Christ. Do your research," after someone posted on her page asking if she'd seen the Pope's comments. DeLemus, reached Monday, said she was referring to her long-held beliefs regarding the papacy and not reacting to what the Pope said about Trump. She follows a Christian doctrine called Sola scriptura that considers the Bible the supreme authority.